Ann Herrmann-Nehdi shares insights about Herrmann’s Whole Brain® Thinking methodology, a model that enables project managers to better understand and leverage their preferred thinking styles. Ann Herrmann-Nehdi, CEO of world renowned Herrmann International, believes that projects often fail not because of lack of effective project management processes, tools, and techniques but rather because of the quality of thinking that gets in the way of applying them on our projects. Our thinking preferences determine how we make decisions, solve problems, collaborate with others, and ultimately the kind of results we get. In this conversation, Ann shares insights about Herrmann’s Whole Brain® Thinking methodology, a model that enables project managers and their teams to better understand and leverage their preferred thinking styles. The metaphoric model, developed from research done by Ned Herrmann at GE, divides thinking preferences into four separate quadrants. A more logical, analytic, and bottom-line style appears in the Upper Left A quadrant. The planned, organized, detailed and sequential thinking is in the Lower Left B quadrant. The interpersonal, emotional, kinesthetic and feeling thinking is associated with the Lower Right C quadrant. Finally, synthesizing, integrating, holistic, and intuitive thinking is in the Upper Right D quadrant. Herrmann’s Whole Brain® Thinking model and Herrmann Brain Dominance Instrument® (HBDI®) assessment tool provide project managers and their teams a common language for understanding how different thinking styles come into play in projects. By understanding and harnessing our thinking styles and those of our diverse project team members, we can improve the quality of our decisions by combining analytical, organizational, strategic and interpersonal skills. What was the background for developing the Whole Brain Thinking framework and why should project managers be interested in this framework? I found the case study about Slagelse Municipality of Denmark a great example of how the framework was applied in the context of the project management. Give us an overview of the objectives the Municipality wanted to achieve and how applying the Whole Brain Thinking framework helped them meet their goals? 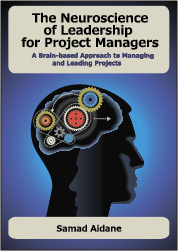 Give us a high level overview of the Whole Brain Thinking framework with examples of how it can be applied in the context of Project Management. How it is Whole Brain Thinking framework different from other instruments such as Myers-Briggs Type Indicator (MBTI), Clifton Strength Finder (CSF), DISC Profile (DISC). How are organizations and individuals applying the Herrmann Brain Dominance Instrument (HBDI) and what is your advice for how project managers can start using it in their projects? You presented at the 2011 Neuroleadership Summit on The Neurobiology of Leadership Assessment. What were some of the key insights you shared with the audience? Ann Herrmann-Nehdi is CEO of Herrmann International, publisher of the Herrmann Brain Dominance Instrument (HBDI®) which is based on extensive research on thinking and the brain. Multiple applications of Whole Brain® Technology™ include creativity, strategic thinking, problem solving, management and leadership, teaching and learning, self-understanding, communication and team/staff development. Ann seeks to apply the principles of Whole Brain® Technology™ to her varied responsibilities: from day-to-day operations, to sales, to workshop design and presentations. Having resided in Europe for 13 years, Ann brings a global perspective to the company. 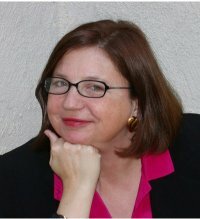 Since joining Herrmann International USA 20 years ago, Ann’s personal goal is to promote a better understanding of how individuals and organizations think and become more effective, as well as enhance learning and communication technologies worldwide through the application and development of the Whole Brain® concept. Herrmann International, with affiliates world-wide, continues to research and develop products and applications in the fields of thinking creativity, and learning.